Rene KosterA glacier seen in Bay of Coughtrey Peninsula in Paradise Harbour. 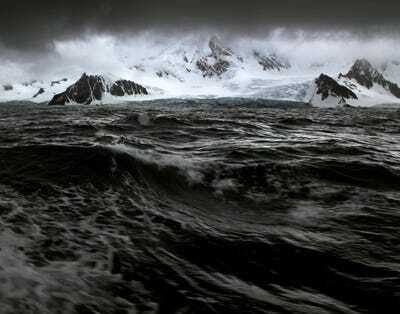 Sailing to Antarctica may seem difficult, but photographer Rene Koster was up for the challenge. 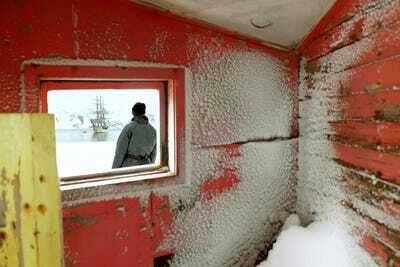 He sailed from Ushuaia, Argentina to the South Pole in three days. His inspiration for sailing to the cold continent was the work of photographer Frank Hurley, specifically his 1915 photos of Ernest Shackleton’s ship trapped in the Antarctic pack ice, forcing everyone to abandon the boat and camp. While they were unable to save the ship, no lives were lost during the expedition. 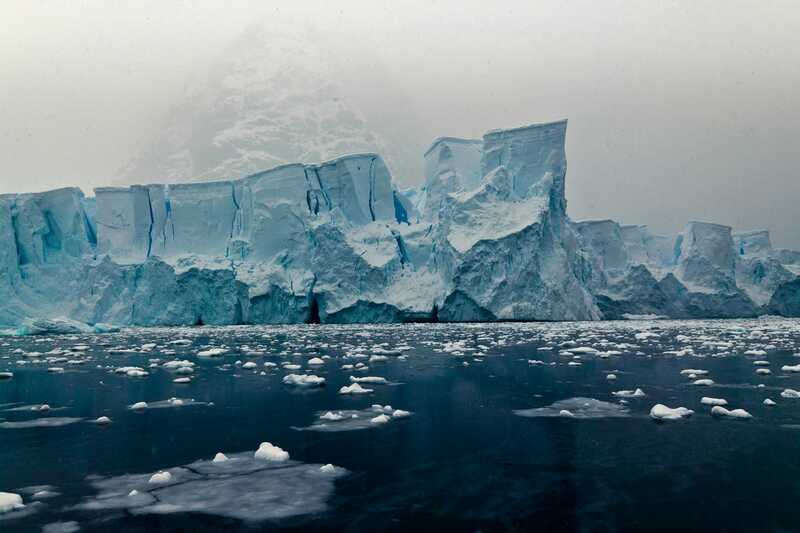 Below, see photos from Koster’s three day sail to Antarctica. 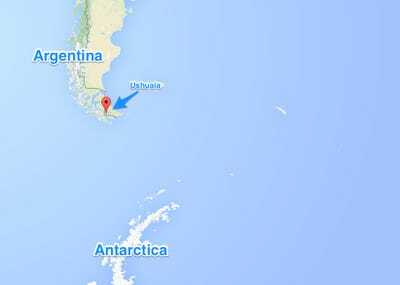 Koster and the ship's crew sailed 1,600 miles from Ushuaia, the south most part of Argentina, to Antarctica. The ship he sailed in, The Europa, was built in 1911. He was invited on the trip by the company Bark Europa, which conducts various tours across the Atlantic. He was accompanied by a professional crew, as well as 30 other guests that included biologists, journalists, and researchers. 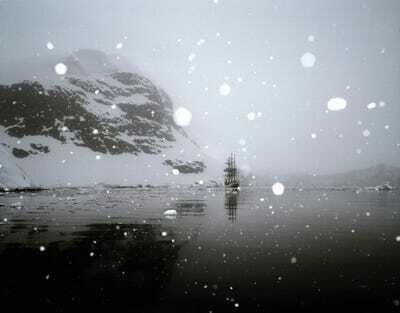 Koster and his crew spent 11 days in Antarctica after sailing. 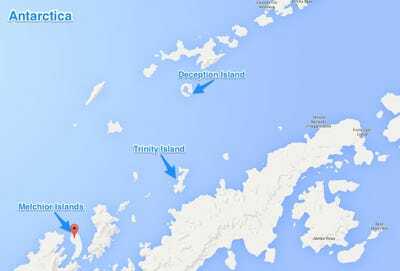 They spent their time in various locations such as the Antarctic Peninsula, Deception Island, Trinity Island, Challenger Island, the Melchior Islands, and more. 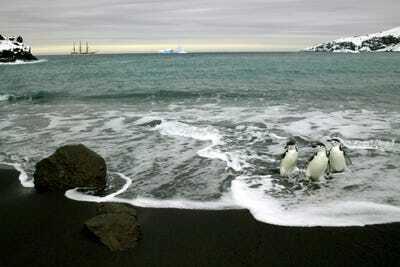 'Getting to Antarctica was quite a challenge itself,' Koster said. One of the most challenging parts of the trip was crossing the Drake Passage by tall ship. 'The passage is known and feared for the heavy storms that dominate the area up to 200 days per year and the day we crossed was no exception -- with raging winds and seawater blown from the tops of passing waves,' he said. The cold weather conditions made it difficult to photograph. He had to bring an excess of batteries and tuck them away in a bag or a coat so they would stay warm. Also, he had to have a plastic bag with him at all times to protect his gear. He photographed with both a digital and a film camera. 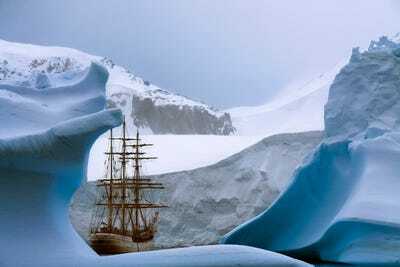 'History has always captured my interest, especially the stories of the great expeditions to Antarctica that took place in the early twentieth century, in hope of discovering an unknown continent,' Koster said. 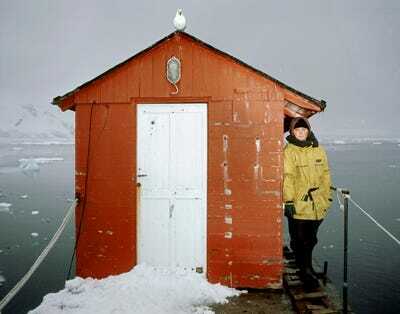 He would happily sail to Antarctica again.